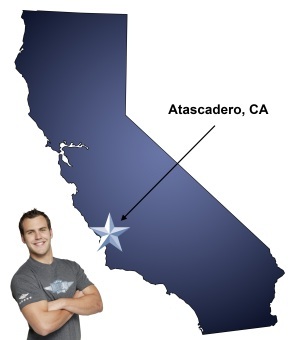 Whatever your moving needs may be, Meathead Movers will help you feel at home in Atascadero. Our professionally trained student-athlete movers and our moving concierge will be with you for the entirety of your move to Atascadero. The city of Atascadero was founded almost a century ago as a planned, utopic community. Edward Gardner Lewis bought the land of Atascadero Ranch in 1912 and within a couple of years subdivided the land for purchase, installed a water system and planted large orchards. Today the community features picturesque scenery of oak studded hills, several historical buildings and a large population of artists. Atascadero is home to several Californian wineries as well. If you are considering moving to Atascadero, make sure to check out Meathead Movers for all your moving needs. We rigorously screen our potential movers to make sure that we are hiring the cream of the crop. We employ hard-working college student-athletes who are trying to put themselves through school. Our movers will always show you respect and will take extra care with all your valuable items. Our moving company specializes in local, long-distance, and commercial moves to, from, and within Atascadero. We also provide reliable packing, storage, on-site relocations, and our distinctive moving concierge service, which connects you with local service providers. Other moving companies might try to stretch the time it takes to complete a job and then charge you by the hour. We would be embarrassed to work for and with people like that. Meathead movers will always jog to and from the truck when they’re not packing or carrying your items, and that’s a Meathead promise. As your move is being completed, you’ll notice that the same Meatheads who loaded your truck are the same Meatheads that are unloading your truck. We do this because we want our movers to be accountable for the quality of their work. It will also save you a headache later on, because you won’t have to tell anyone to be extra careful with your fragile items again. Moving to Atascadero shouldn’t be a hassle if you choose the right movers. Contact Meathead Movers today for more information about our services or for a free no-obligation moving quote. We’re confident that our reputation and testimonials will speak for themselves. If you’re in need of Atascadero movers, give us a call. Moving to Atascadero? Here are some helpful resources. Hard working, timely, personable and professional! Would certainly use again!